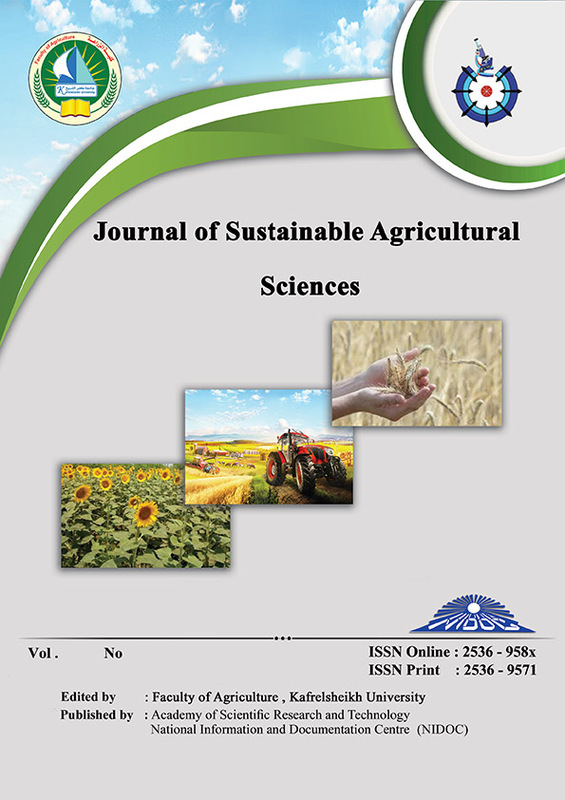 A two-year field screening analysis was evaluated to study the analysis of variance, mean performances, principal components analysis (PCA) and similarity levels among 19 Egyptian barley cultivars for six parameters during two consecutive seasons 2013/2014 and 2014/2015 to identify their response to water stress conditions. The results exhibited significant differences among all cultivars for all studied characteristics, and highest mean values for all studied traits have been detected for Giza 2000, Giza 131 and Giza 126, which had positive and highest values of PCA. Also, highest similarity levels were observed among these cultivars with more than 90%. So we could consider that these cultivars as tolerant to water stress. Molecular marker analysis was used as a new molecular marker called sequence-related amplified polymorphism (SRAP) to determine the genetic diversity and relationships among 19 Egyptian barley cultivars for water stress tolerance. Nine selected primer combinations were amplified and gave 71 total fragments, at which primer combination “me5+em1” gave the highest polymorphism (100%) and the highest polymorphic information content PIC was (0.97). The dendrogram of SRAP markers had clustered all the Egyptian cultivars into four groups; each group includes the most closed cultivars together according to their response to water stress. Results showed that the SRAP marker technique could be efficiently used to assess genetic variation among Egyptian barley genotypes and their ability for tolerance to water stress.